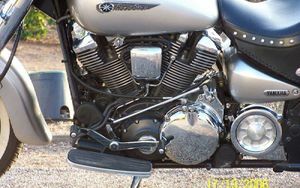 The Yamaha XV1600A is a 1602cc (98 cubic inch), air-cooled, pushrod, 48° V-Twin cruiser style motorcycle first introduced in 1999. 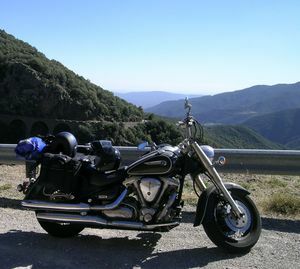 It is also called the Yamaha Road Star or in Europe the Yamaha Wildstar. 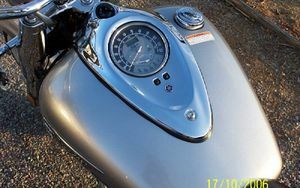 This model was the first Yamaha motorcycle with belt drive. 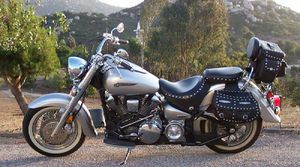 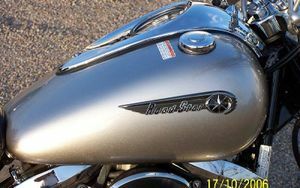 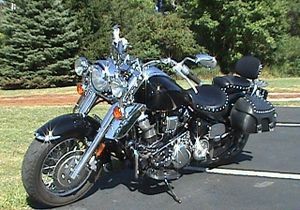 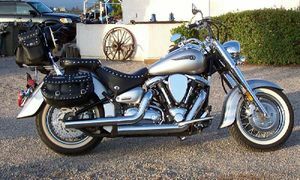 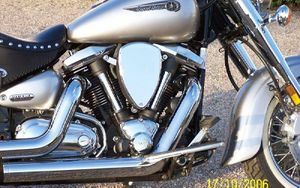 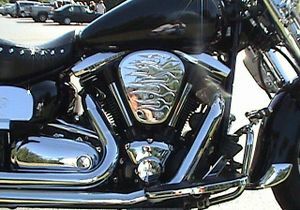 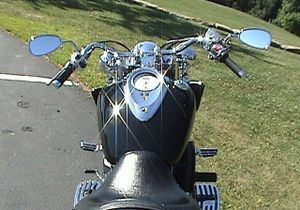 2001 Yamaha Road Star Midnight Star XV16ASN with a 98 cubic inch engine (1602cc). 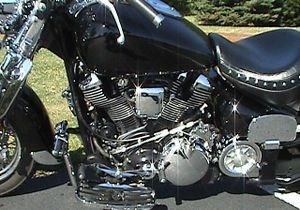 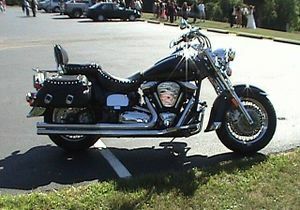 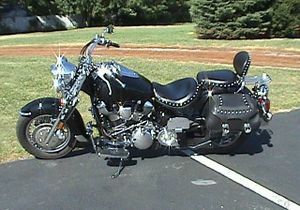 The Midnight Star adds chrome forks, chrome highlights, studded seats and a fantastic blacked out engine.